The last rays of the setting sun nicely illuminate 58047 as it comes off Didcot West Curve at Didcot North Junction on 4 July 1991 with the 6E21 20:10 Didcot Power Station to Barrow Hill MGR empties. 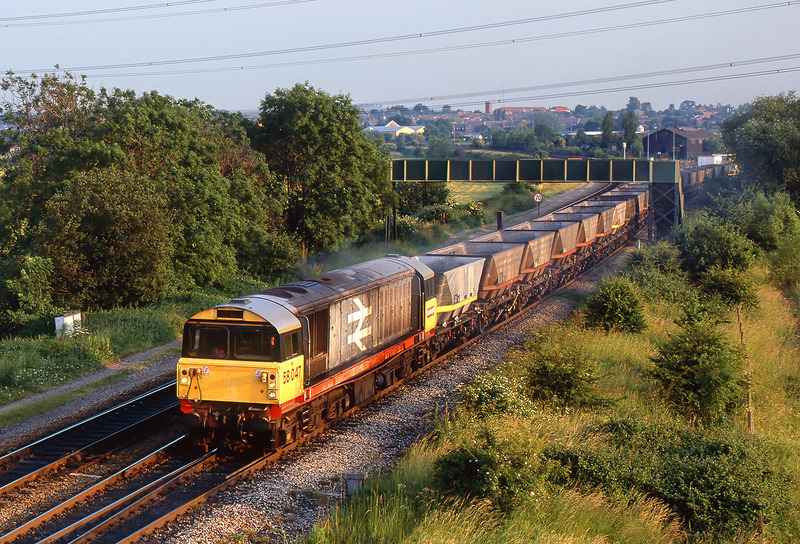 Not only are there no longer any coal trains here, as Didcot Power Station is closed, but also this viewpoint is now severely restricted due to lineside growth. All those little bushes on the right are now big bushes, and would block out virtually all the light this late on a summer evening.